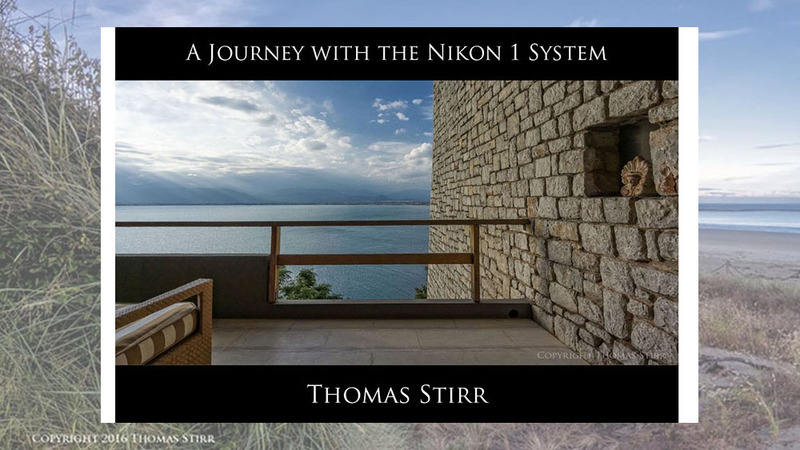 You are here: Home / Mirrorless News / Thomas Stirr’s Nikon 1 eBook Announced! 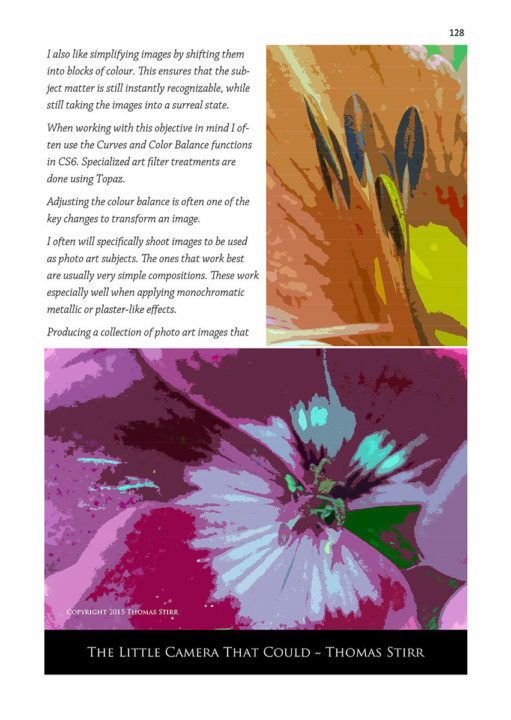 To give you a good idea of the eBook’s content this article features some jpegs made from the original PDF file. 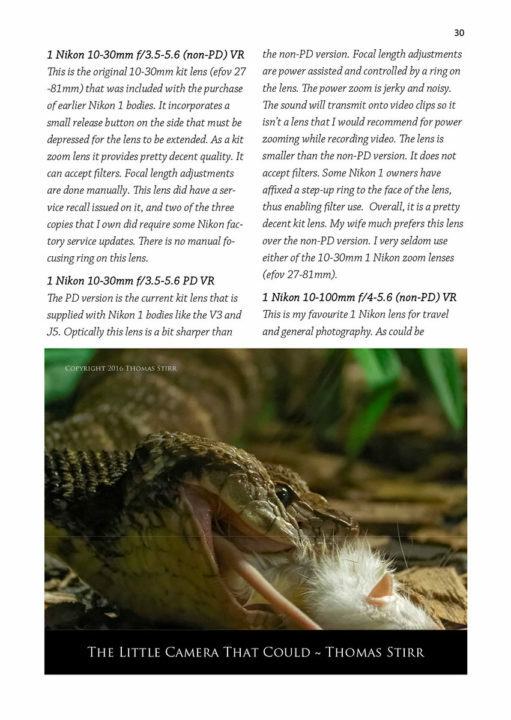 These jpegs have lost some quality from the original file but will still give you a good idea about the eBook’s appearance and approach. The Little Camera That Could outlines my journey with the Nikon 1 system, discussing how stumbled into it and eventually enjoyed using it so much that I parted company with my full frame DSLR. 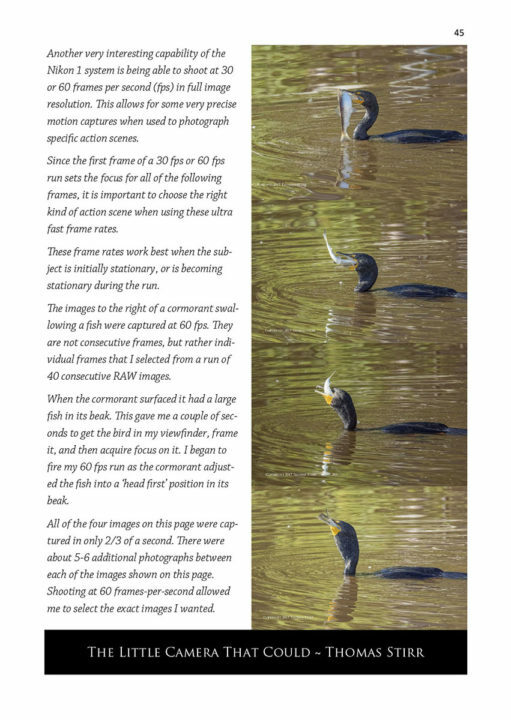 This 210-page eBook features over 450 original images, all of which were captured with either the V2, V3 or J5 models. 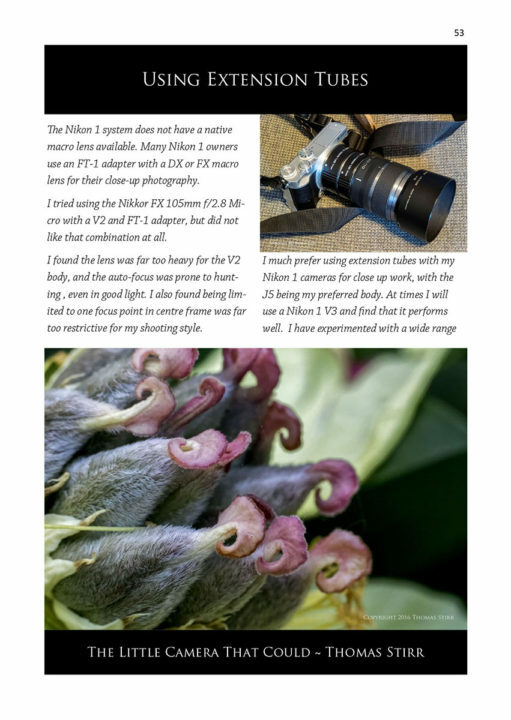 A brief overview of current Nikon 1 bodies and the majority of native lenses is included. 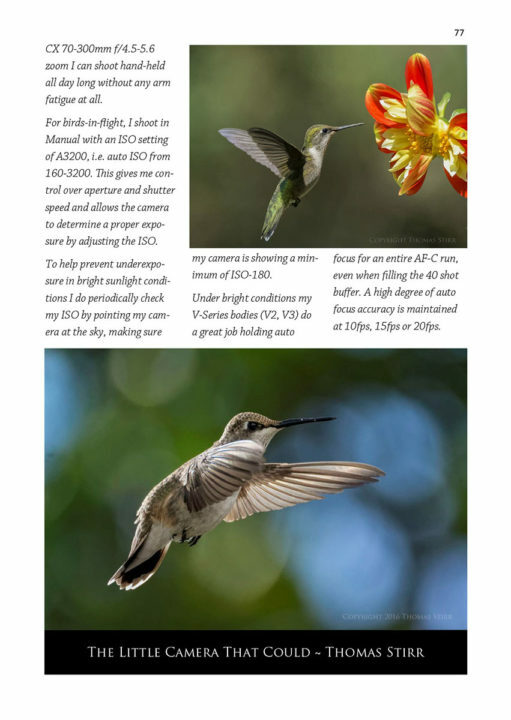 The Little Camera That Could takes a balanced view of the Nikon 1 system commenting about some of the challenges using it, like low light performance, as well as highlighting some of its advantages such as its fast continuous auto-focus frame rates of up to 20 frames-per-second. 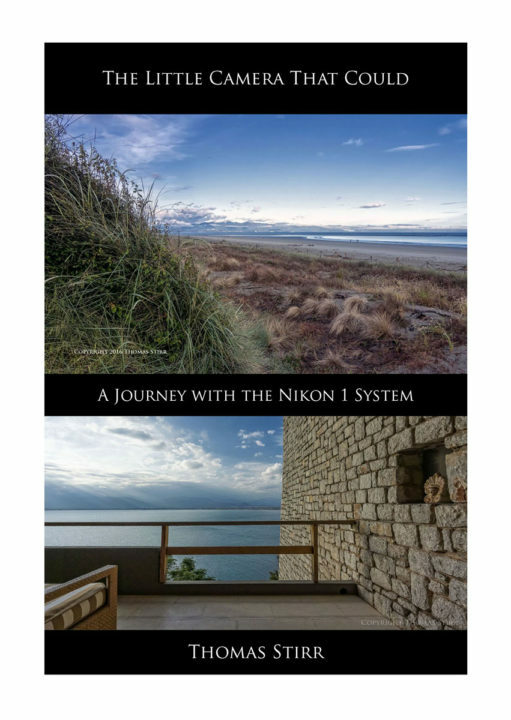 Approximately 75% of the eBook is dedicated to showcasing photographs taken with the Nikon 1 system, covering a wide selection of subject matter. 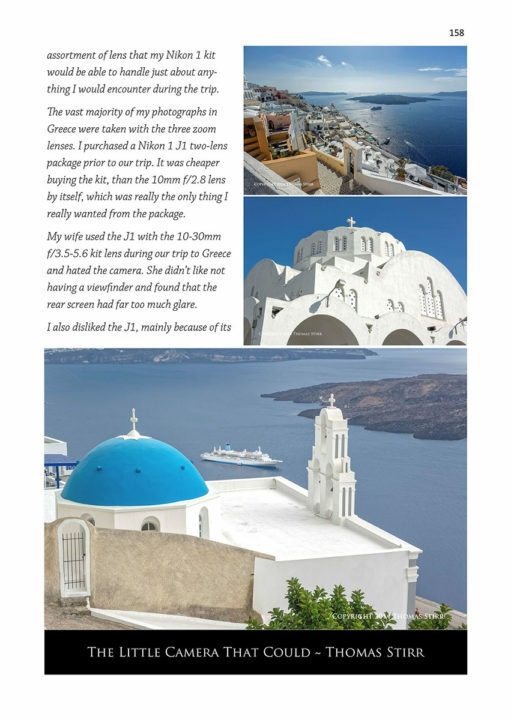 For the past three years I’ve found the Nikon 1 system to be a solid performer when it comes to travel. Nine different travel destinations are featured in The Little Camera That Could. 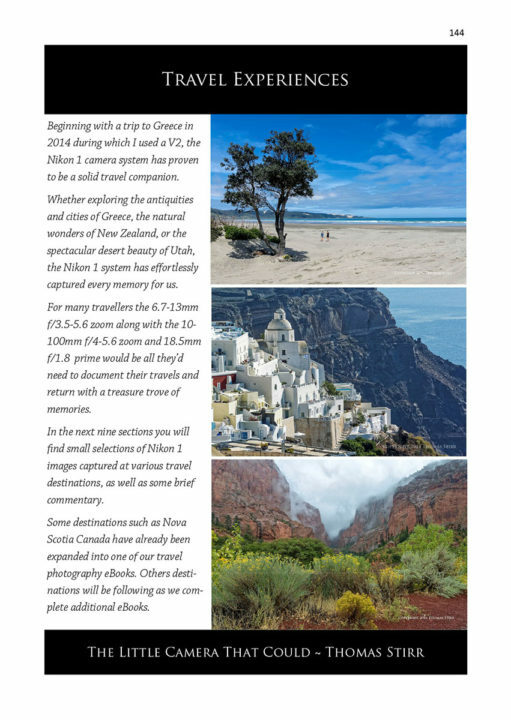 These include Greece, New Zealand, British Columbia and Nova Scotia in Canada, as well as a number of states in the USA including Colorado, South Carolina, South Dakota, Utah and Wyoming. 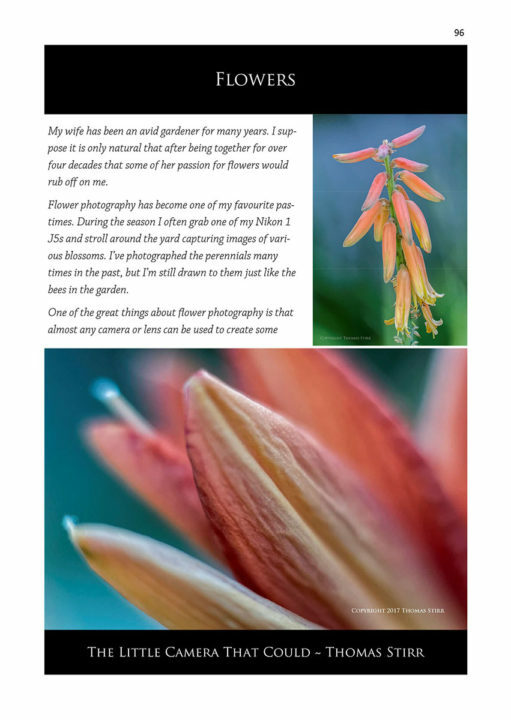 Over 20 other photographic subject areas are also included in The Little Camera That Could. Some of these include Aircraft, Automotive, Architecture, Birds (both in-flight and perched), Flowers and Landscape, to name a few. 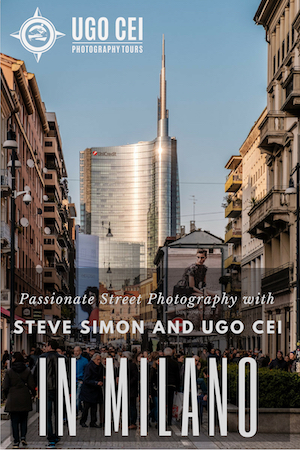 Also included are two sections that will appeal to more specialized audiences, Light Painting and Photo Art. 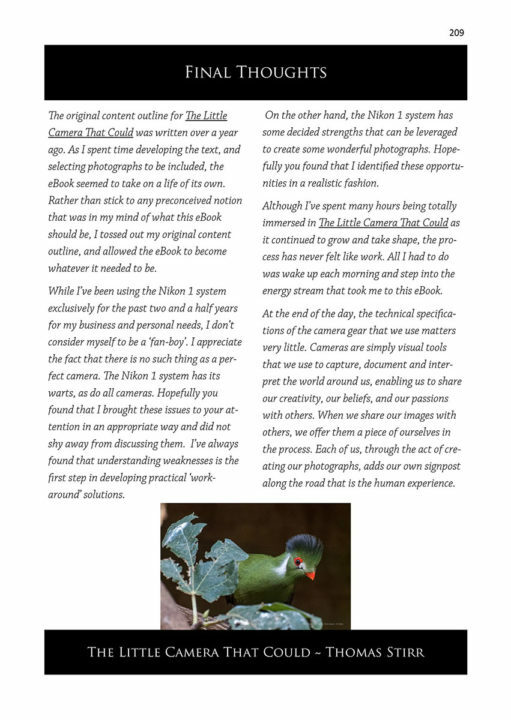 The Little Camera That Could is available for purchase and download in PDF format. It is priced at $9.99 Canadian. The eBook incorporates standard anti-piracy encryption and buyer specific QR coding. 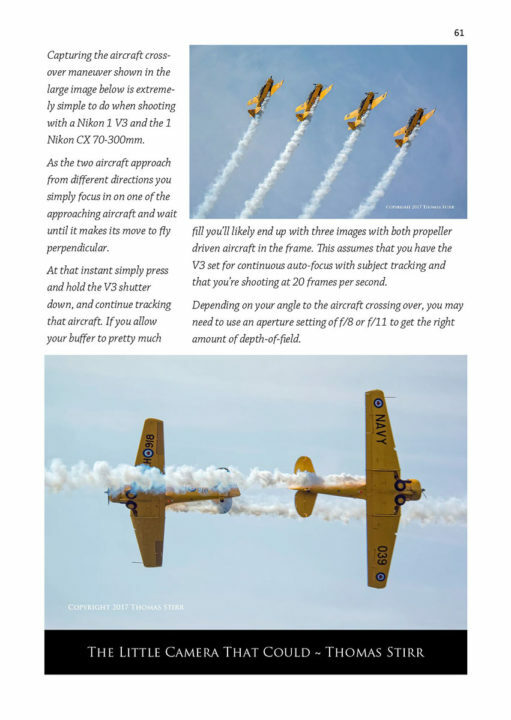 Article and all images are Copyright 2017 Thomas Stirr. All rights reserved. No use, adaptation or reproduction is allowed without written consent. Mirrorlessons.com is the only approved user of this article.